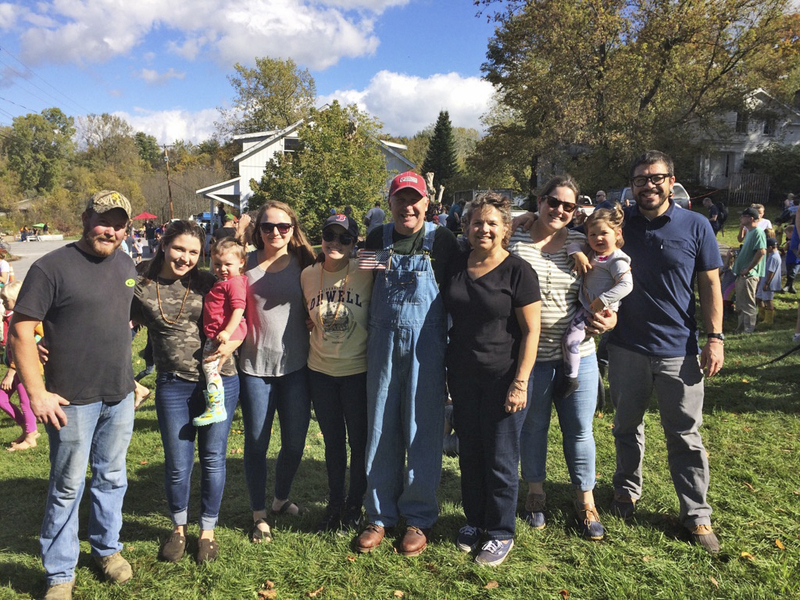 Classes ending in 9 and 4, celebrate reunions next year at Homecoming & Family Celebration and Reunion Weekend, October 4–6, 2019! For the Class of ’74 and older classes, please also join us at our next Summer Reunion, July 25–26, 2019. Mary (Torosian) Graves ’48 has had a lifelong love of colonial architecture and has designed and renovated many old houses. 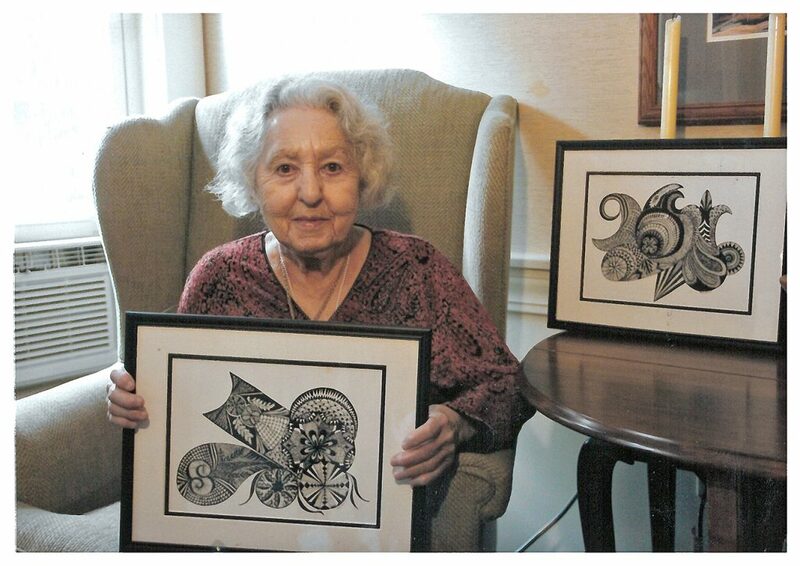 She is an active artist, painting cards and displaying pen and ink work, and remains in close contact with Virginia “Ginny” (Brown) Doherty ’48. Richard A. Hutchins ’69 is teaching Sport in America Since 1865, a class offered though Dartmouth College’s Osher Lifelong Learning Institute. The course is held weekly inside the Dartmouth Outing Club House on the north end of Occom Pond. 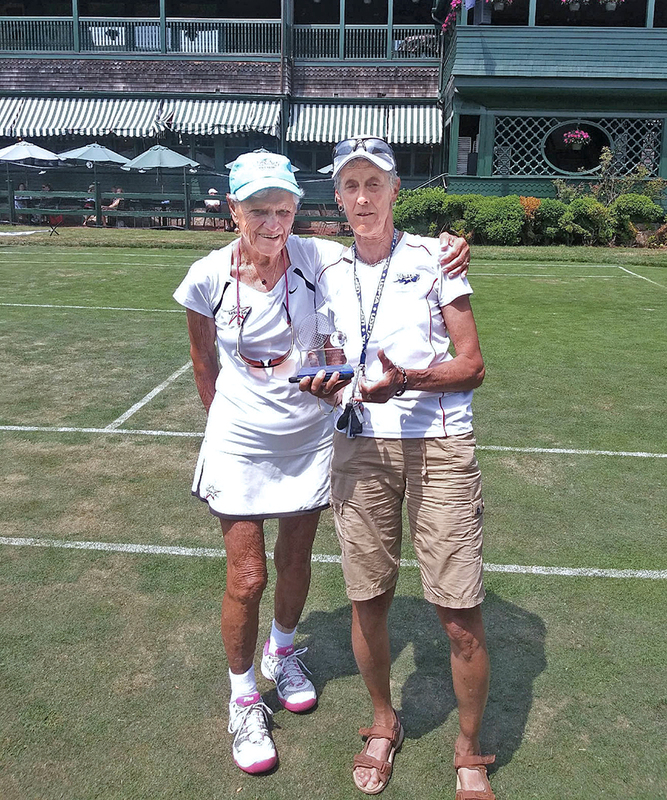 Lynn M. Miller ’74 was honored on center court at the International Hall of Fame in Newport, RI, on July 16, 2018, for being inducted into the USPTA New England Hall of Fame. The USPTA is the organization that certifies tennis teaching professionals. She was again honored the following day on Center Court along with several other players from the northeast for being ranked #1 in the women’s 60 doubles division. Marcella H. (Hall) Prachyl ’74 has been a registered dietitian for 33 years. She is now looking forward to working part-time and spending more time with her husband of 31 years, Allen Prachyl, a retired teacher and tennis coach. 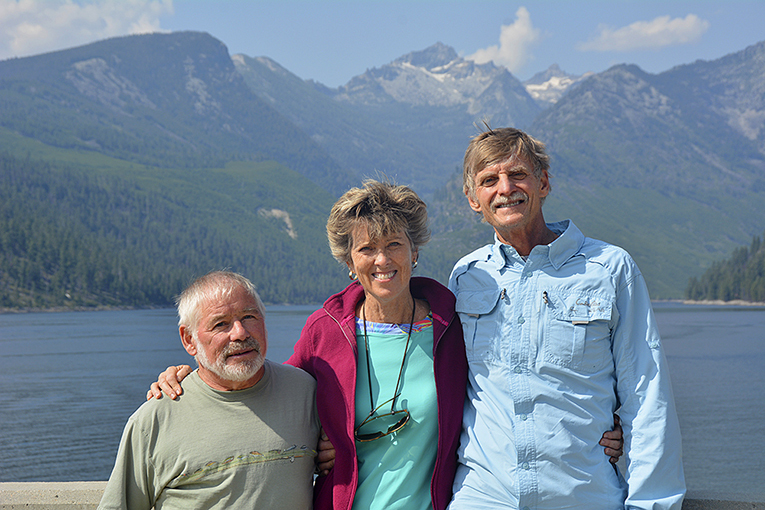 Chaplain Leslie Parish ‘76 and Jessie, a ministry team with Canines for Christ Therapy Dog Ministry, Inc.
Margaret “Meg” A. Mulbern ’77, Dave Homma ’76, and Bruce Goslovich ’78 were together at Lake Como in Darby, MT. Homma spent most of his career in sales with Wyeth Pharmaceuticals in eastern OR. He has retired to Darby with his wife, Kris. Mulbern spent the later years of her career working in a K–6 special education classroom in Boise, ID. At the end of his career, Goslovich was a self-employed contract CFO. All three are now enjoying working a lot less. Michael J. Mugits ’78 is retiring as principal of Molly Stark Elementary School in Vermont. Jeffrey V. Myles ’79 has retired. Kathi J. (Smith) Monteith ‘76 and her family enjoy the 2017 Annual Tractor Parade in beautiful downtown Charlotte, VT! 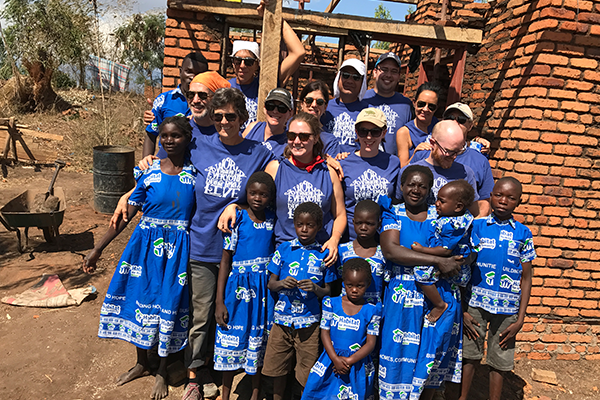 Front row, (l–r): Jenny Blakeman Barlow ‘84, Sue Guptill Moccia ‘84, Beth Chase Sargent ‘84, Karen Anderson Hall ‘84, Michelle Fournier Leever ‘85, Gary Kelley ‘81, and Al Chabot ‘84. 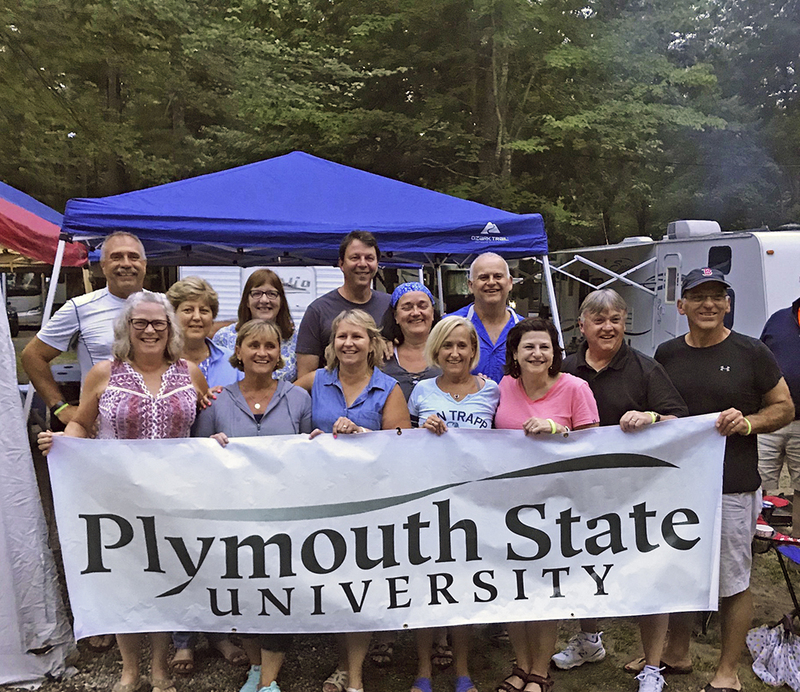 Back row, (l–r): Ted Moccia ‘84, Laurie Lund Chandler ‘84, Pat McKinnell Eskeland ‘84, Alan Hall ‘84, Laurie Brodeur Perreault ‘84, and Gerald Perreault ‘84. Joseph E. Goulart ’82 has been named vice president for institutional advancement at the Gulliver Schools in Miami, FL. 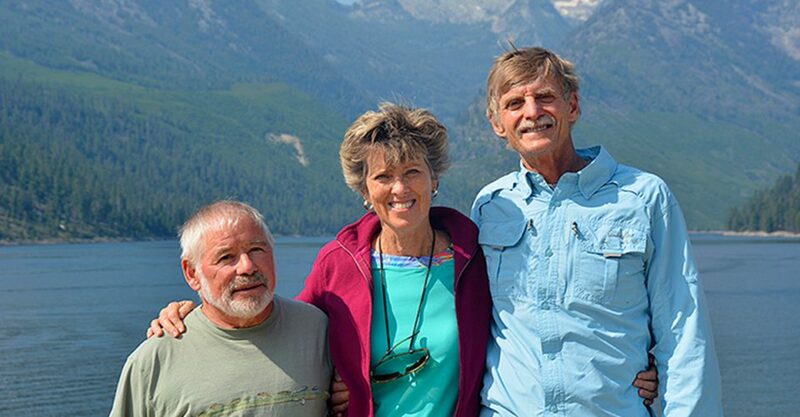 Darryll White ’82 was hired as the new chief administrator at Lake George Regional Park. 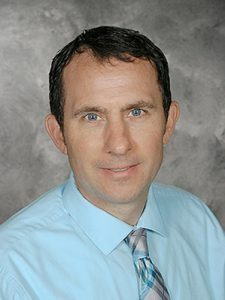 Kent W. Hemingway ’83G, ’03CAGS has agreed to step in as part-time superintendent of SAU 13, including schools in Tamworth, Freedom, and Madison, NH. Since retiring as Gilford superintendent, Hemingway has served as a consultant in two superintendent searches for the New Hampshire School Boards Association. He will help SAU 13 with its search, beginning this fall, with the goal of having a long-term superintendent in place by July 1, 2019. Dennis J. Keglovits ’84 has been named chief client officer of Lockpath, a technology company founded in 2010 in Overland Park, KS, which provides governance, risk and compliance services. Keglovits joined the company in 2014 as vice president of services. He’s a 26-year veteran of the accounting and consulting industry, with experience at PricewaterhouseCoopers, RSM McGladrey, and Deloitte & Touche. Michael P. Couture ’85 is head coach of the men’s lacrosse team at Southern New Hampshire University and district manager for NH at Clearent Processing and Financial Services. He is also owner of MACK C Services & Contracting Property Management & Preservation. Daniel French ’85, ’97G was appointed as Vermont’s new secretary of education. The appointment of French, who for nine years was superintendent of the Bennington-Rutland Supervisory Union, was announced by Gov. Phil Scott at the Statehouse in Montpelier. Carl D. Nelson ’86 has been selected as the 2017–2018 Massachusetts Secondary School Administrators’ Association Middle School Principal of the Year. He is principal of John F. Kennedy Middle School in Woburn, MA. Nancy D. Libby ’88 is a volunteer at the Somersworth Public Library doing detailed tech services projects. Daniel Root has been named regional senior vice president of a new office in Estero, FL, for full-service construction firm Kaufman Lynn Construction. Root began working with Kaufman Lynn five years ago as a project executive and took on roles of increasing responsibility since then. In his new role, Root will be responsible for the overall management and strategic planning of the company’s construction projects throughout the region. The Dive Task Team with WMUR’s Sean McDonald and cameraman, Chris Shepherd, at Granite Lake in Nelson, NH, filming a segment for NH Chronicle. Front (L–R): Chris Shepherd, Tessa Love, Debbie (Manus) Love ‘90, Thomas Love, Sean McDonald, Mike Hemenway. 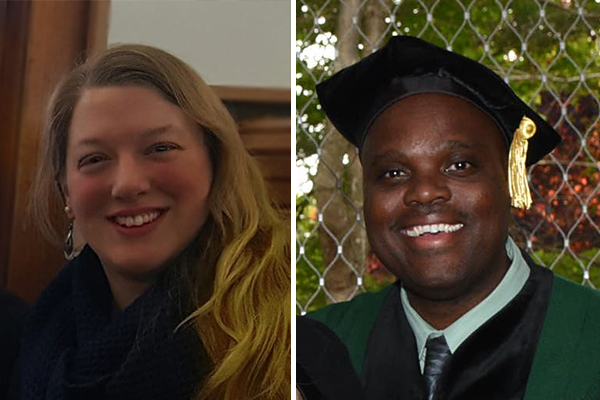 Back (L–R): Rob Love, Mary Lackie Hemenway, Ethan Hemenway. David M. Levesque ’92, ’95G, ’12CAGS was named the 2018 New Hampshire Elementary Principal of the Year. He is heading to Washington, DC, in October to be recognized by the National Association of Elementary School Principals. He is currently the principal of Pleasant Street School in Laconia, NH. In addition, Pleasant Street School was awarded the NH Elementary School of Excellence in Education in 2017. Daniel Cherry ’93G was chosen to fill the role of principal/teacher at John D. Perkins Sr. Academy of Marlow, NH. Mark Pribbernow ’93, ’01G was chosen to be the assistant principal at Lancaster Elementary School. Jason Boucher ’94 was appointed vice president and chief financial officer of American Renal Associates Holdings. Michael Downs ’96 was selected as the new principal at Andrews Middle School in Medford, MA. Jared Fulgoni ’96 was named interim superintendent of Amesbury, MA. Jack K. Finley ’98, ’15G has been appointed principal at Hanover Street School in Lebanon, NH. Finley has worked in Franklin schools for 19 years, starting as a high school English teacher in 1999, and became an associate principal at the city’s middle school in 2013. He also serves as the district’s emergency operations manager and volunteers with the Franklin Fire Department. Jennifer Baus-Fleming ’98 has joined the Circle Program as its new associate program manager. She is a former Circle mentor. Karen Pelletier ’98 has been named vice president of operations for The Worcester Regional Chamber of Commerce, and will retain her responsibilities as director of education and workforce development. Ms. Pelletier began her career with the chamber in 2014 in a newly created position, established to support chamber members by creating more conduits to colleges and universities that helped fill positions in member companies. Jason D. Veno ’98 has opened Veno’s Specialty Foods and Meats Butcher Shop and Gourmet Food to Go on Rte. 16 in Conway, NH. 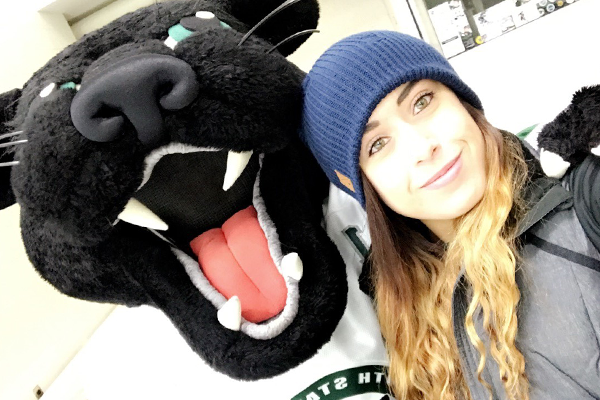 Veno is also a regional representative for Amoskeag Beverages Inc.
Sara Morandi ’99 was hired as assistant manager of ReStore, South Shore Habitat for Humanity’s community donation store. Nick Pelotte is one of the most decorated players in the history of the Plymouth State men’s basketball program, having been named a First-Team All LEC and an All-District/Region selection his sophomore through senior seasons. The 2002–03 LEC Co-Player of the Year was named a Third-Team NABC All-American, Fourth-Team D3hoops.com All-American, and the Eastern College Athletic Conference (ECAC) New England Player of the Year as a senior, during which he finished third in the nation in scoring at 28.1 points per game. He led the Panthers to a program-record 24 wins and their second-ever NCAA Division III Championship Tournament appearance in 2003–04, and their first-ever NCAA tournament win. 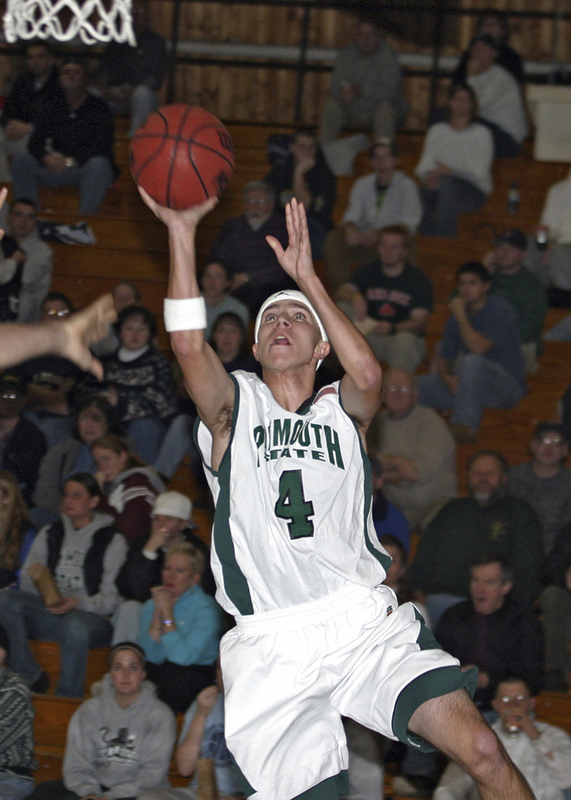 Pelotte’s 2,111 career points placed him second on PSU’s all-time scoring list, and one of only three players to score 2,000 or more career points for Plymouth State. Christopher McNevich ’00 was hired by the Mt. Washington Valley Chamber of Commerce to focus on creating, maintaining, and expanding local and regional revenue streams for the chamber. Jocelyn Roby ’01 has joined the Hadley office of Bacon Wilson, P.C. as an associate attorney. Roby is a member of Bacon Wilson’s real estate department, where her practice is focused largely on residential real estate, including closings and title work. Kevin M. Bell ’02 has been promoted to vice president of marketing for Loon Mountain Resort. Darcy E. (Bagley) Sylvestre ’02 received her grief counselor certification from the American Institute of Health Care Professionals (AIHCP) in July 2018. She completed a required 100 hours of continuous education on grief counseling through The American Academy of Grief Counseling. 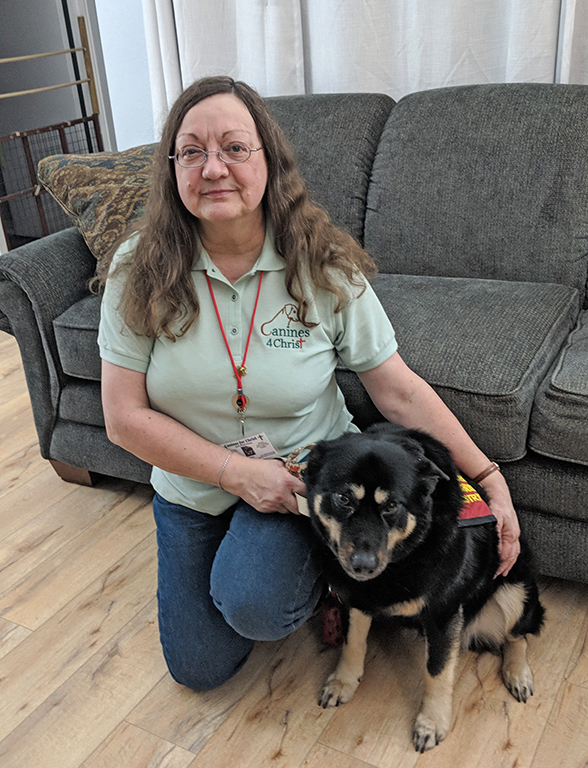 Sylvestre has been the bereavement coordinator at BAYADA Hospice in Norwich, VT, since 2017, providing grief support to patients, families, and the community. 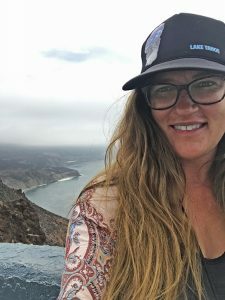 Jennifer L. Cyr ’03 spent spent two weeks in the spring of 2018 doing environmental volunteer work on a biological reserve in the Galapagos Islands. David J. Feeley ’04 has been inducted into the Brick Township High School Wall of Fame for his athletic and coaching accomplishments. 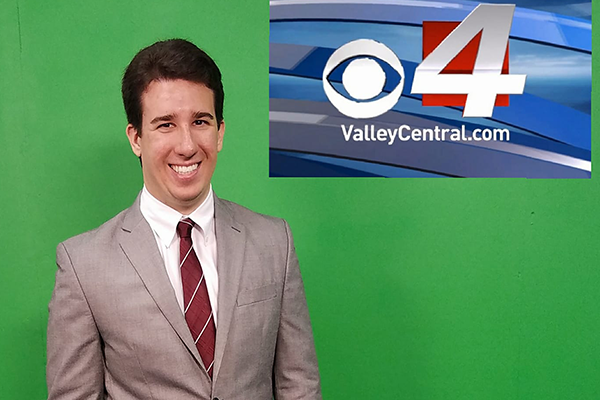 Feeley has been a graduate assistant at UNLV, working with the football, softball, baseball, and track and field teams; and the assistant strength and conditioning coach at Florida International University. He was the director of football strength and conditioning for Ball State (where he was featured on ESPN’s College Gameday to open the 2015 football season), and head strength and conditioning football coach for the University of South Carolina, before taking his current job as head strength and conditioning coach at Temple University. Douglas W. Martin ’04 has been named the New Hampshire Commercial Board of Realtor’s 2018 Realtor of the Year. Martin is vice president of the New Hampshire office of Colliers International, a global leader in real estate services. He covers the sale, leasing, and valuation of office, industrial, and retail properties, as well as commercial land tracts in the Greater Manchester and Concord areas. Martin is a proud fundraiser and supporter of many great charities and causes, including multiple youth athletic organizations, The Boys and Girls Clubs of America, The Make-A-Wish Foundation, Manchester PAC, and the Alzheimer’s Association. He also serves as a member of the New Boston Zoning Board and the NBT Bank of New England Advisory Board. Daniel W. O’Halloran ’04 will be installed as 2019 president of the New Hampshire Association of Realtors (NHAR), the state’s largest trade association, in a ceremony at the Grappone Conference Center in Concord on Nov. 15. 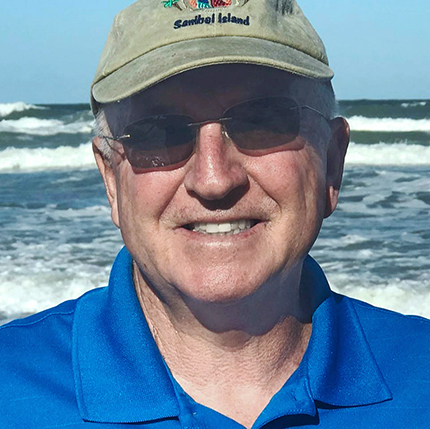 O’Halloran has been a realtor since 2005, and in March he opened O’Halloran Group of Keller Williams Lakes & Mountains Realty in New London, where he is the lead broker. He has been an NHAR director since 2015 and served as the chair of the organization’s Communications Committee from 2013 to 2017. Locally, he was president of the Sunapee Region Board of Realtors in 2016 and was its Realtor of the Year in 2014. Dan and his wife Christina (Paradis) O’Halloran ’04 met when they were Plymouth State seniors and members of the Marketing Association, where Dan was president and Christina vice president. Angela J. (Dill) Bragdon ’07 studied desert and marine landscapes through ecological and social field methods in Baja this past summer. Bragdon, a science teacher at Prospect Mountain High School, lives in Alton, NH, and is a graduate student in Miami University’s Global Field Program. Samantha L. Maltais ’08 is vice president of digital marketing and strategy at Bottomline Technologies in Portsmouth, NH. Jamie F. (Brown) Sharrow ’08 received her master of arts in mathematics education from Western Governors University in 2014. Karen E. Sullivan ’08G retired after 22 years of teaching at the Holy Trinity School in Laconia, NH. Sullivan grew up in Revere, MA, and earned her undergraduate degree in education from Boston College. 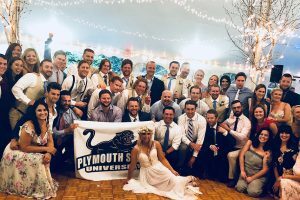 Her roommate was from Laconia, which is how she met her husband, Kevin Sullivan, a Laconia native who was studying at PSC. Elaine L. Doell ’10G has joined the University of North Carolina Wilmington as assistant vice chancellor for human resources. Doell came to UNCW from East Carolina University, where she was an advanced classification and compensation consultant. Prior to that, she served as chief human resources officer for Cape Fear Community College and served as assistant director and then director of HR at PSU. Melissa A. Silverberg ’10 recently graduated from Salem State University with a master’s degree in social work. Silverberg has been employed by Massachusetts General Hospital for the past five years, working with youth and families in need. Katherine T. Lozano ’12 is the quality assurance coordinator at Gift of Life Donor Program, the region’s nonprofit organ donation program serving Philadelphia, New Jersey, and Delaware. Jessica W. Marker ’13 has received a master of public health degree from the University of New England. Jeremy Normington-Slay ’14G has been named the new president and CEO of Firelands Regional Medical Center in Sandusky, OH. 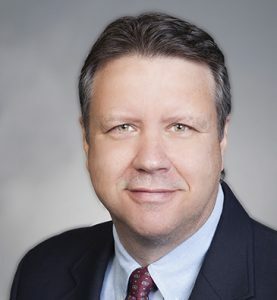 Normington-Slay has been a health care executive for 15 years; previously, he has served as president of Mercy Medical Center in Oshkosh, WI, CEO of Moundview Memorial Hospitals and Clinics in Friendship, WI, and vice president of ancillary services at Cherokee Regional Medical Center in Cherokee, IA. Linda Peck ’15G is a transformation education instructor at Cotton Mill Hill in Brattleboro, VT. She teaches tai chi, puppetry, and mime. She has been practicing for 25 years, ever since her career as a ballerina ended from injury. Dr. Sean I. Bogle ’18 received his doctorate of education in learning, leadership, and community on May 17, 2018. He is believed to be the first African American to receive a doctorate degree from PSU. 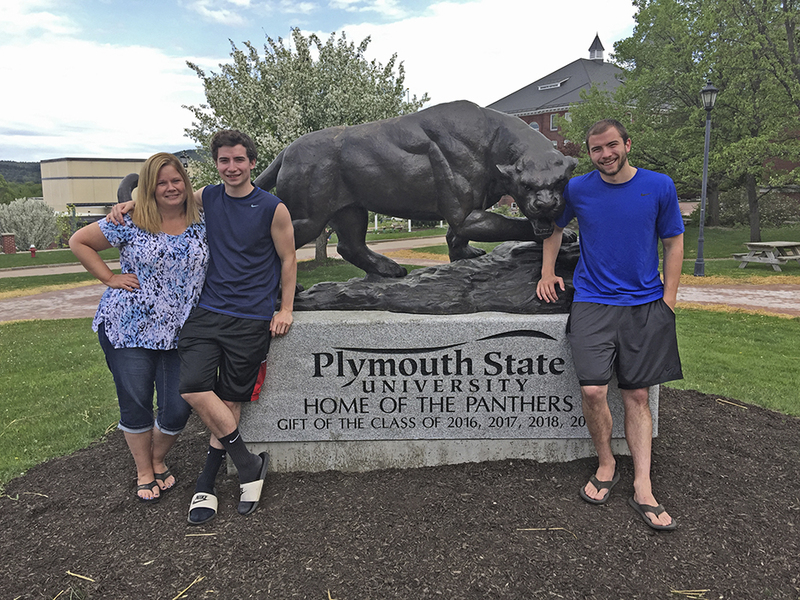 A family of Panthers: Jennifer (Cuff) Remington ’92, Dave Remington ’20, and Matt Remington ’18.